Thousands of EU nationals could inadvertently lose their rental homes due uncertainty about their status post-Brexit, according to the Residential Landlords Association (RLA). With Brexit approaching, there are a number of immigration concerns causing great uncertainty, despite the fact that the Home Office is currently developing a new user friendly scheme. Under the 2014 Immigration Act all EU nationals automatically have the right to rent property in the UK. Unless the law is changed, this will continue to be the case, whether they are currently in the UK or come after the UK leaves the EU. People who have been living in the UK lawfully for five years by 31 December 2020 will be able to apply for settled status during the Brexit transition period. But the RLA, which says that 66% of EU nationals (excluding those from the Republic of Ireland) live in private rented housing, is concerned about a lack of detail that a no Brexit deal will have on EU nationals’, including their rights to rent property in this country. The trade body warns that without greater clarity and proper advice, landlords will not know if they should continue tenancies coming up for renewal or agree new ones for EU nationals. 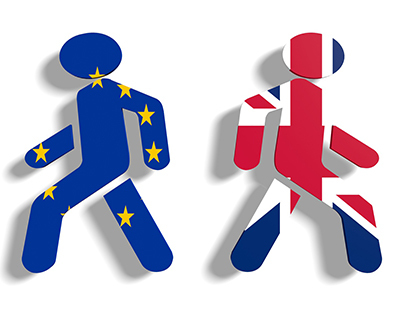 The RLA is urging the government to issue guidance as a matter of urgency on the rights that EU nationals will have to rent property both before and after the UK leaves the EU, including under a no deal Brexit. The RLA is calling also for a commitment that no changes will be made to their right to rent without at least 18 months’ notice to give landlords and tenants plenty of time to prepare. Under the government’s Right to Rent policy, landlords face the threat of potential criminal sanctions where they know or have “reasonable cause to believe” that the property they are letting is occupied by someone who does not have the right to rent in the UK. RLA policy director, David Smith, said: “Landlords and tenants need urgent clarification from the government on the rights that EU nationals will have to rent property immediately after the UK leaves the EU, especially in the event of a no deal Brexit. “Without this, and without a commitment that no changes will be made to the ability of EU citizens to rent property without at least 18 months’ notice, landlords will find themselves unable to decide if tenancies should be renewed and new ones created for EU citizens. The RLA is today writing to the Brexit Secretary, Dominic Raab, to raise its concerns over the issue. Satbir Singh, chief executive of the Joint Council for the Welfare of Immigrants (JCWI), said: “The government’s refusal to give EU citizens who apply for settled status a document proving their right to live in the UK after Brexit is incomprehensible. Particularly in light of the hostile environment that requires landlords to check their tenants immigration status. “JCWI’s research demonstrates that landlords will not go through complex immigration checks, online forms, or telephone helplines to check up on someone’s status, when they could just rent to someone with a British passport instead.